A clean attic is an important part of a functional, comfortable property - regardless of whether it’s a commercial building or a residential home. With professional attic cleaning services, your space will be in great condition. The benefits of a clean attic are many - better energy efficiency, less things to worry about, avoiding dust and dry air inside, and more. With a clean attic, your property will be more comfortable to use overall. Read on to learn all about how our team can help! Your home needs to be looked after and kept clean. The same goes for your attic. While attic cleaning is often overlooked and forgotten about, it does matter that you get it done. If your attic is not cleaned regularly, pests and damages may accumulate, and could have serious consequences. We are your local experts in residential attic cleaning, and we are ready to make sure your attic is in great condition. Just like homes, commercial premises require attic cleaning in order to make sure that the property is in peak condition both for your employee and customer’s sake. With a clean attic, you will have one less thing on your mind, and your property will be more energy efficient. When your attic is professionally cleaned by us, you can get back to doing what matters to you while enjoying a clean storage space, additional office space, and more! We know attic cleaning in and out. 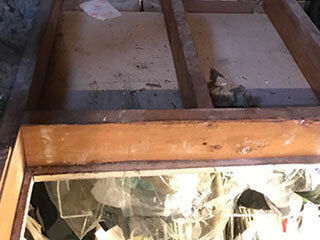 When we handle your attic, we can, aside from general cleaning, also offer mold prevention and rodent proofing, as well as make sure any crawl spaces are clean. Our experts will assess your attic, and work with you to find out what needs to be done. Don’t hesitate to contact us if your attic needs attention! Our local professionals are at your service! Do you offer professional attic cleaning services near me? Yes! Well, hopefully. Unless you're currently residing somewhere in mainland China or are lodging with Santa's reindeers up in the north pole, chances are that we do have experts in your vicinity who are ready and willing to come and carry out any project you need. Check out this page to learn about the different locations we service.